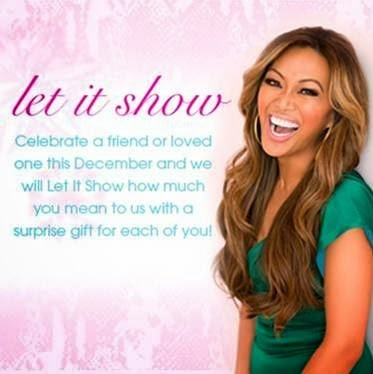 Celebrate a friend or loved one this December and Mally Beauty will Let It Show how much the two of you mean to Mally Beauty with a surprise gift for each of you. Enjoy a special gift for you and a friend when you create and send a snowflake. Here’s how to create your very own snowflake: http://bit.ly/1kjapB8! Click on the link below to also create a gorgeous snowflake this season, and I forgot to tell you all- Hope you had a fabulous 2014 ! Here's wishing everyone a happy 2014 from me and my new baby son!